You may know by now that we love having breakfast for dinner. 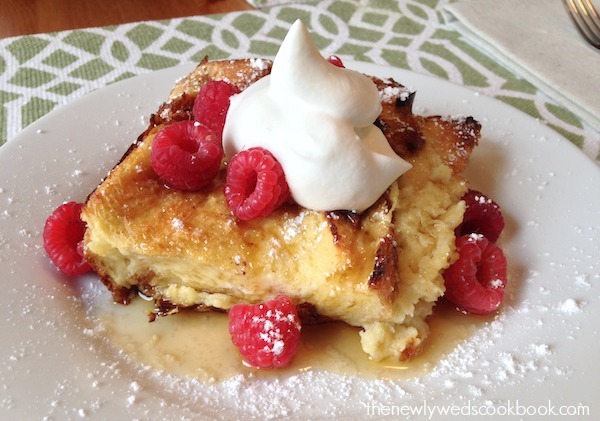 You also may know that we don’t hesitate to enjoy the sweeter side of breakfast every now and then…enter, Baked French Toast. 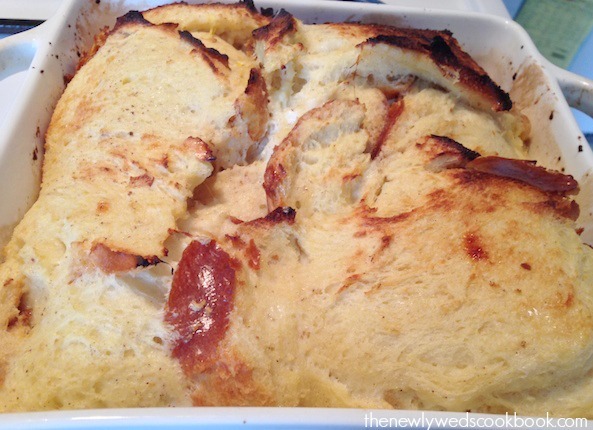 This super fluffy baked french toast is utterly incredible. We were so stunned that a bread like this could transform into the fluffy, moist and delicious concoction we ended up licking off our plates (well, at least one of us)! 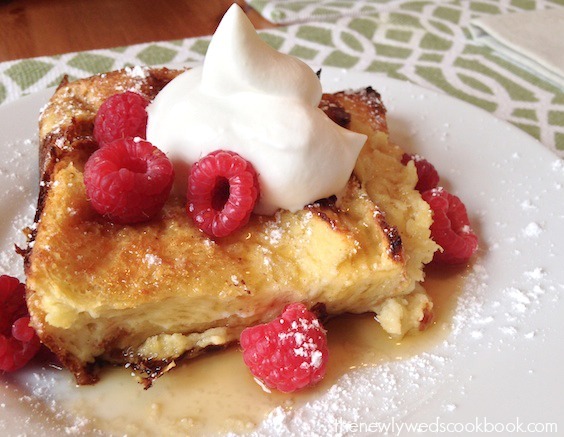 Next time you’re having guests over for breakfast or brunch, I highly recommend you make this. You’ll have a sure-fire way to get some compliments and even boost your reputation in the kitchen! 2. 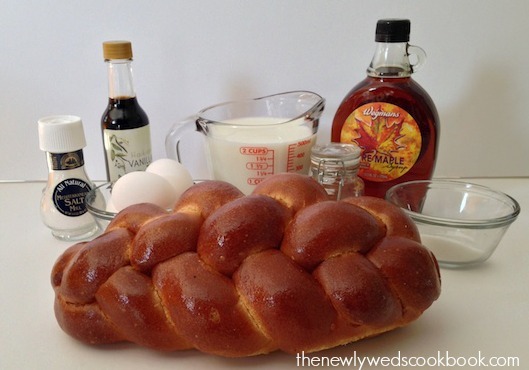 In a medium mixing bowl, whisk together the milk, maple syrup, vanilla extract, salt, cinnamon, sugar, and eggs. 3. Spray/grease a square baking pan. Slice the bread into 3/4-1 inch slices. 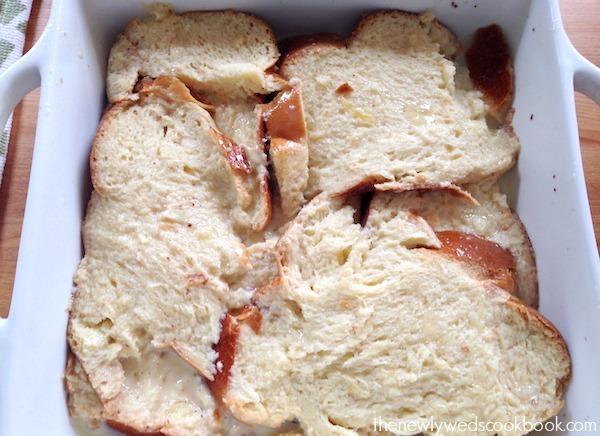 Make one layer with the bread covering as much of the pan as possible. Pour 1/2 of the batter onto the bread. 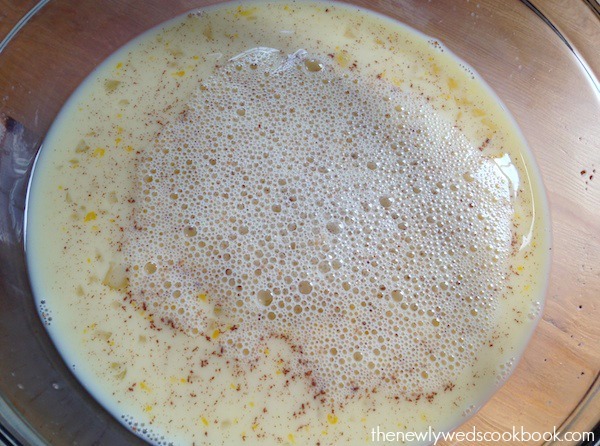 Make another layer of bread, then pour the remainder of the batter. 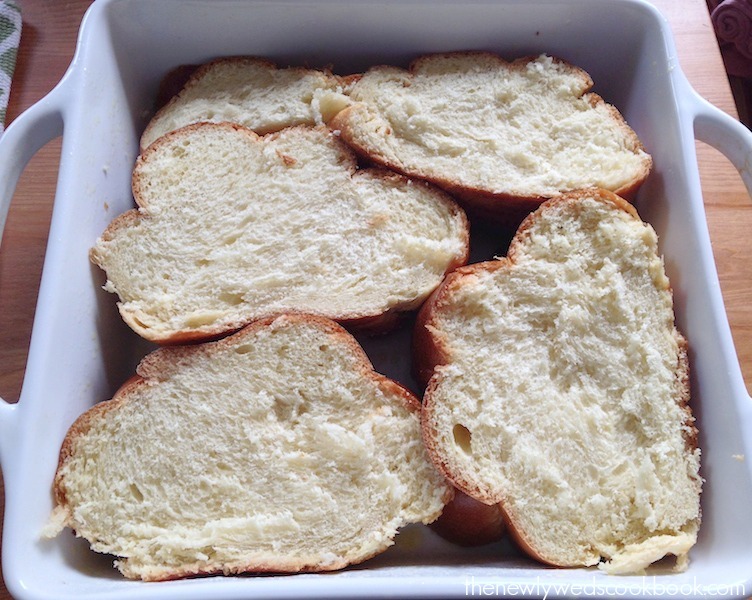 *It is important that you try to soak up the mixture into the bread as much as possible. We would spoon the extra mixture onto the bread as much as we could to get everything real soppy. 4. Stick this in the oven for 25-30 minutes or until the top begins to crisp and brown. 5. 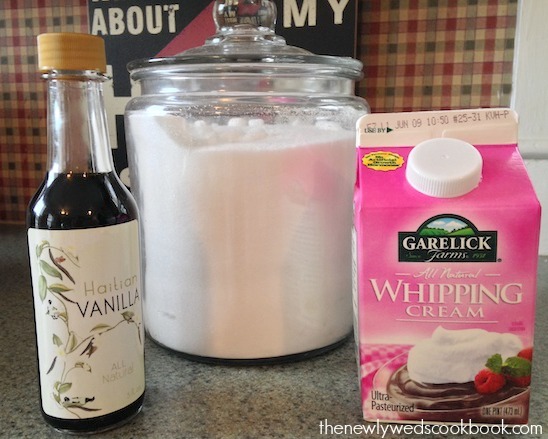 While that is in the oven, you can make your own whipped cream by combining 1/2 cup whipping cream, 1/4 tsp vanilla extract, and 1 tsp sugar. 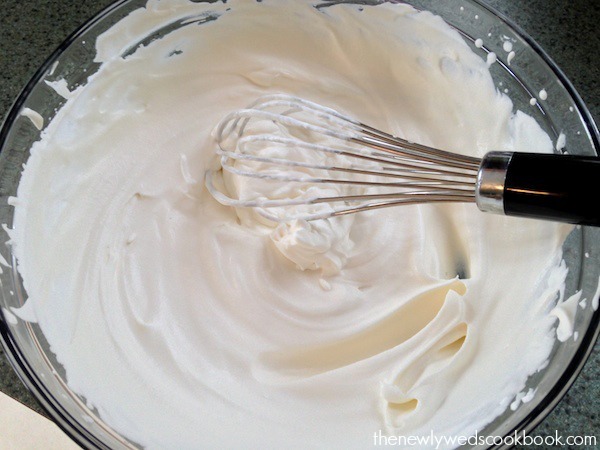 Whisk this hard until it becomes a thick whipped cream. This tastes excellent on top of the french toast. 6. 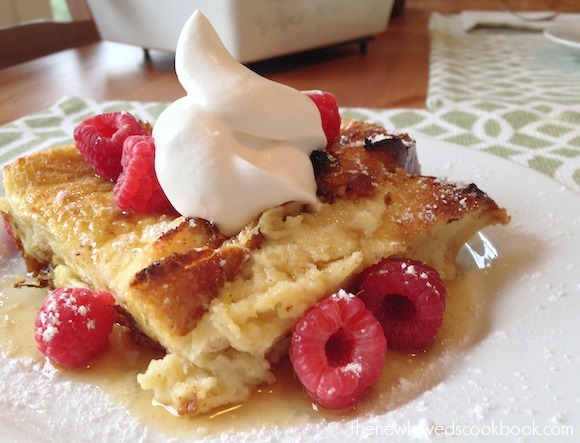 Take the french toast out of the oven, let it cool for a few minutes, and then serve with whip cream, syrup, confectionary sugar, and fresh berries!